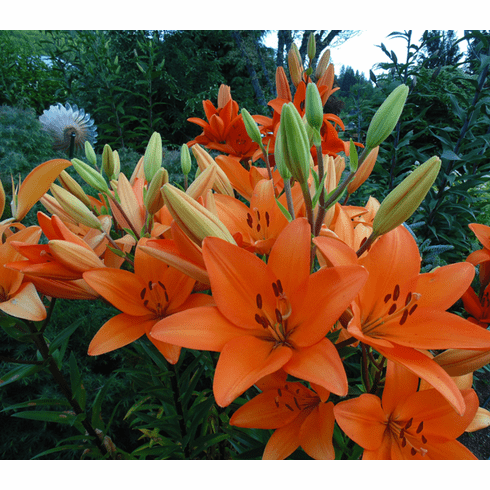 These huge flowers of intense bright melon-orange do not fade and last a long time in the garden. Great to cut for arrangements or when used in the back of the border due to its large flowers and taller stance. Popular because of it clear color that shows up well during periods of rainy weather. Light Scent. 3 to 4 Feet. Late June Flowering. Light Scent.